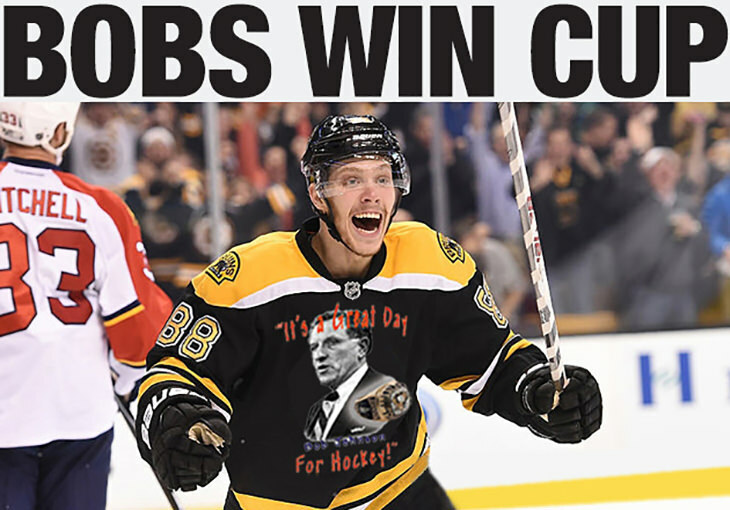 David Pastrnak reacts to the sound of the final horn on Sunday, his Badger Bob team winning their first FHL Cup championship; Pastrnak once again aiding his team by scoring an important third period goal, his 35th tally of the season. In arguably the greatest, most compelling race in the 25 year history of the FHL, Badger Bob was crowned league champion on Sunday, rallying past the Bluliners on the final day of the season - the final game of the season. Making surprise back-to-back weekend starts, fill-in goaltender James Reimer ultimately pushed the third year franchise over the finish line, the Bobs winning the FHL Cup by 5.0 points. Trailing by 99.7 points on January 22nd, Badger Bob rode the backs of veterans Eric Staal, Phil Kessel and Blake Wheeler to the top of the standings, the improbable comeback both unexpected and unprecedented. Thought to washed up by many a hockey pundit, Staal - acquired in the 5th round of the draft - would finish with 42 goals and 76 points. While the sheer number of goals was important to Badger Bob, Staal's knack for scoring in bonus-heavy bunches was especially beneficial. During a pivotal three-game stretch in late February, Staal netted 27.0 FHL points. Phil Kessel enjoyed the most productive year of his career, the oft-maligned 30 year-old closing with 34 goals and 92 points. Blake Wheeler, the team captain, collected 91 points, the wily veteran keeping Badger Bob on course when the FHL waters were choppy. "You don't win the Cup without a good defense," is the prevailing thought. Badger Bob's defense was good; certainly good enough. Victor Hedman paced the trio of blueliners with 17 goals and 63 points. While Hedman's numbers were expected, the play of Jake Gardiner would prove to be a welcome surprise, the 6th round draft pick recording the first 50 point season of his career. While the established veterans deserve a lot of credit for Badger Bob's success, the team MVP was an undrafted 24 year-old. Ignored by all 12 teams during the draft, Connor Hellebuyck would don a Badger Bob jersey during the 3rd week of the season, GM Chester signing the unproven goaltender to a six month contract. Hellebuyck was far better than anyone expected, the Winnipeg backstop posting a league-best 44 wins. The acquisition of Hellebuyck was supremely important as Badger Bob started the season with John Gibson, Thomas Greiss and Antti Niemi guarding the twine. While Gibson posted solid numbers, Greiss would win only 13 games during the year; Niemi just 7. After the leaking goalie position was patched, GM Chester was comfortable enough with his drafted team, the veteran fantasy hockey GM making no trades during the season, Chester simply tweaking his roster at the start of each week. In addition to having his team name inscribed on the coveted FHL Cup, GM Chester was awarded $500.00 for his league-best performance. Combined with the $70.00 acquired for finishing as the H2H runner-up, the Bob boss skates away with $570.00. As the team's namesake Bob Johnson would no doubt say, "It's a great day for hockey." And in 2017-2018, a great day, a great season for Badger Bob hockey. With the Boulder Flyers locking up the money on Saturday, the final game of the season was just a formality, GM Morgan awarded $175.00 for finishing in 3rd place. Although they didn't win the FHL Cup, the Bluliners received a healthy consolation prize, GM Hamilton pocketing $325.00 for departing as the league's second best team. Despite an admirable effort to extract themselves from the basement, GM Murphy and his SC Cobras were strapped with the Laughing Bag, the FHL booby prize for landing in last place. Hello, all. First, let me salute BLULINERS in the spirit of fun, fantasy sports competition for an epic battle. Had there been a game or games on the regular-season schedule today, the outcome could have been different. It was that close. As MorganWigge wrote, this was an extraordinary race. Two STRONG teams. Two owners who got the most out of those teams. And then there was the element that no fantasy hockey owner can control, the bouncing of the fantasy puck. In the end, it bounced my way, with the Victor Hedman empty-net goal on Friday night arguably being the most extraordinary single event. Saturday was an emotional rollercoaster for me. Got off to a strong start as the lead approached 10. Bluliners began the comeback with the overtime goal from Tavares that lifted the Islanders over the Red Wings. This hurt since the Islanders scored late in the third period to send the game into overtime. On top of that, I knew Bluliners had the advantage in active players in the late games. Led by 6.0 from Burns and 3.3 in a win from Lehtonen, Bluliners were back on top. At that point, my hope shifted to just staying as close as possible. Literally a few seconds after Burns chalked up an assist that, added to the goal he scored earlier, gave him 6.0 for the game and pushed Bluliners' lead to 4.3, Eric Staal scored an empty-net goal to cut the deficit to 2.3 heading into Sunday. I hoped Reimer would play in two of Florida's five games during the week. After he played and won Saturday, I highly doubted he would get the start Sunday. But he did. His 33 saves were key as was the goal from Pastrnak and the assists from Krejci and Donato. This is a fantasy hockey championship I'll always remember due to how hard-fought it was to secure. Again, saluting BLULINERS. Also saluting MorganWigge/Boulder Flyers for daily write-ups, Wild Ducks for scorekeeping, and Vegas Vipers for hosting the draft. Time is a precious commodity. These guys gave of their time to make season 25 of the FHL a success. Am humbled to be the winner of the big prize. Also, congrats to Central Red Army for winning the head-to-head final. Badger Bob did not have enough that week to stop CRA. As the namesake of the team -- "Badger" Bob Johnson -- would say, "It's a GREAT day for (fantasy) hockey!!!" And YES, "Badger" Bob sent along best wishes to the team. 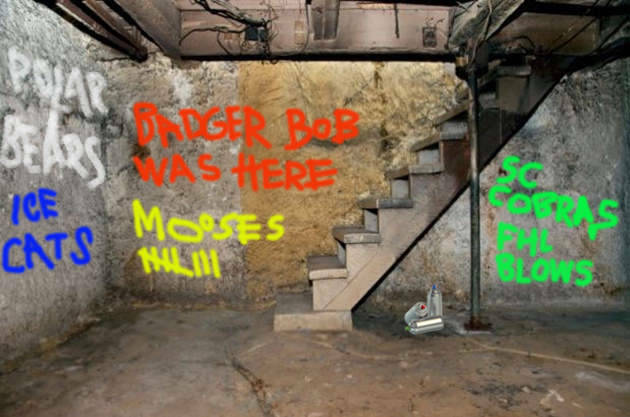 Also worth noting.... Badger Bob’s championship season was sprinkled with some “Worst to First” magic, the Bobs one of five teams to have spent time in the FHL basement. Unsure how many times that has happened. Not too many, my guess.